In this article, learn how to fix Windows Script Host access is disabled on this machine error via simple registry manipulation on Windows 10/8.1/8/7. In Windows family of operating systems (OSes), Windows Script Host provides scripting ability to the machine. It has different features to work on, such as processing of login scripts, administrative management and so on. 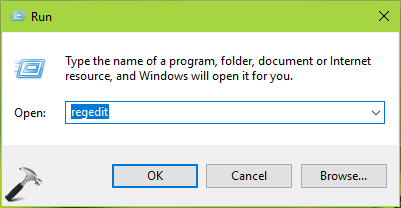 Windows Script Host settings on the OS can be accessed by running wscript.exe command. Interested users may get to know Windows Script Host in depth, on Wikipedia. If you’re getting this message, you’re simply blocked from running scripts and in some cases, you machine may not operate normally. So how to fix this problem? Well, there is simple registry solution that you can apply in this situation and fix up the error. 4. Finally, set the Value data to 1. Click OK. Close Registry Editor and reboot to make changes effective. After restart the error message should no longer appear.